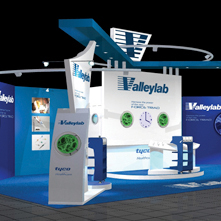 If you are exhibiting in 2014 you can have a full bespoke built exhibition designed and manufactured for FREE, you only pay for print of graphics, painting, floor covering, installation and dismantle. This can save you thousands of pounds. How is this possible, where is the catch? There isn’t one. 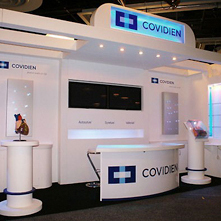 Specialising in exhibition design, build and construction throughout the UK and Europe over the last 26 years we have gathered considerable stock of creative and innovative designed exhibition structures in timber along with furniture and IT equipment. Our CAD designers working to your brief will create a bespoke design using a combination of these stock items. No two designs will be the same ensuring customers get an original layout every time. Our experienced installation team including graphic specialists, electricians and project manager will ensure the exhibition process runs smoothly from start to finish. For more information telephone Peter on 0114 251 8807 to discuss this offer in greater detail.